Thanks to Nancy DeVaux for sharing her visit to the Land Bank’s Lake Zylstra Preserve… (click on the photos for a larger image). 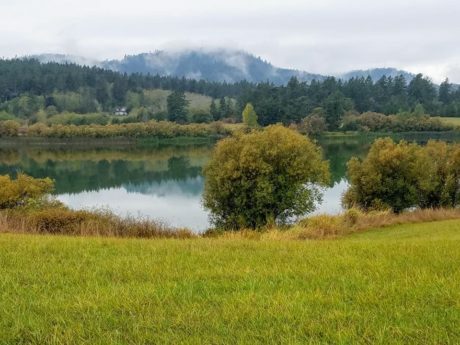 “As the rain let up Sunday afternoon a steady flow of islanders showed up at the Open House to get an early look at Zylstra Lake, a new 60-acre acquisition by the Land Bank and the San Juan Preservation Trust. In a pastoral setting below Mount Dallas, the Lake has a one+ mile trail around it. 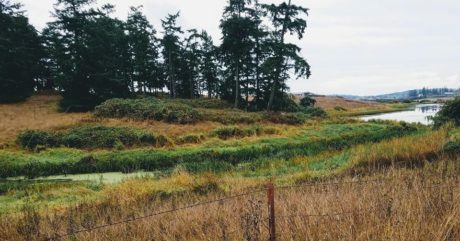 It meanders through fields and with views of a series of wetlands that flow into San Juan Valley and the False Bay watershed.